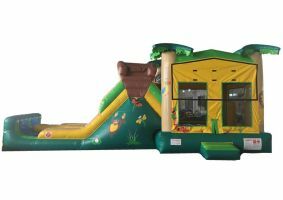 Get wild with the 5-in-1 Tropical Wet/Dry Double Lane Combo bounce house! Your party animals will fly so high, you might just mistake them for Toucans or Macaws. 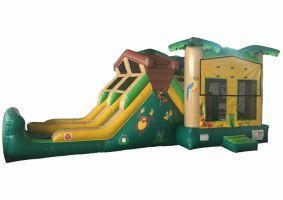 Slither down the front slides like a tropical Green Mamba, or just generally monkey around. With this festive activity, everyone will feel like the king of the jungle!